“The World’s Finest Motor Car”. So claimed Dueseberg when launching its now-legendary Model J in 1928. 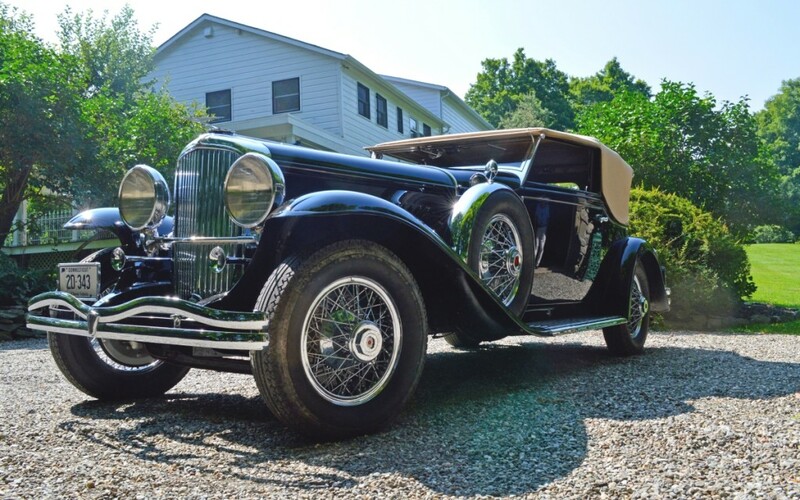 The Model J attracted a who’s-who of famous owners in its day, including European royalty, tycoon Howard Hughes and a myriad of Hollywood A-list stars, including Gary Cooper, James Cagney, Greta Garbo, Clark Gable and Mae West. With a powerful 6.9-litre straight-eight engine, exquisite engineering and 120 mph capability, the Duesenberg Model J was the chassis of choice for many of the World’s finest coachbuilders. The imposing 1936 Victoria Coupe, participating at the 2014 Concours of Elegance at Hampton Court Palace from 5-7 September, is one of only 10 Model Js bodied by Rollston, and is sure to attracted many admiring glances with its gleaming coachwork.